Cars are getting faster, more efficient and better equipped than ever. Still, without these ten important innovations in safety, some of us wouldn't be here today for sure. Buckle up. 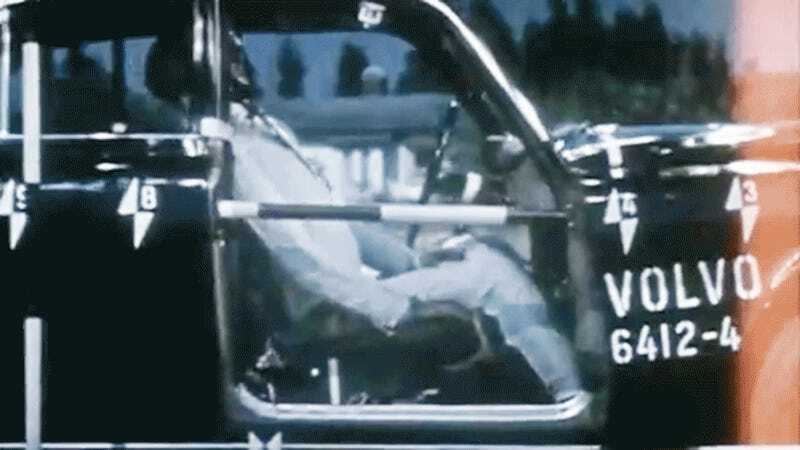 An interesting fact about collapsable steering columns is that they were used in road cars before Formula One. The United States government ordered them to be standard starting in 1968, but F1 didn't start mandating them until after Senna's death in 1994. This is the McLaren P1's mirror finish carbon brakes. It was developed by Akebono, and all that shininess is there to dissipate heat more effectively. By comparison, my 1985 Autobianchi A112's front disc/rear drum setup is not that good at dissipating heat when surrounded by mountains. Modern brakes are amazing, so even if you only have the cash for the most basic budget car, it will stop way better than accelerate. That's how it should be. You know how normal glass breaks. The glass in modern cars stays in one piece, or if things get more serious, does its best not to cut you. Safety glass is pretty excellent. French genius Gabriel Voisin came up with the idea of ABS for airplanes, and the technology soon found its way to the automotive industry. Having good brakes is one thing, but if you don't know how to use them and lock up, they are totally useless. That's where ABS comes in. Clever. Not everyone is a fan of airbags, but let me assure you, hitting your face on a hard steering wheel and dashboard is a lot worse. Saved my life, so yea I think it was pretty special and important. New alloys, particularly high-strength steel now common in car design, make cars lighter and stronger. That's exactly what you want for both efficiency and safety. You might not think about them as a safety feature, but radial tires are a big part of why cars are safer today than in the past. Well, imagine it like this: diagonal tires were like tough balloons. Radials on the other hand have a series of cord plies reinforcing the tire, making them much more solid and reliable. Safety cell design re-imagines cars with soft crumple-zones on the ends and a rigid cage in the center. This is Béla Barényi's original sketch for the safety cell. Crumple zones absorb energy and there is a solid passenger compartment in the middle. The design was pioneered by Mercedes and is common to all cars today. Lead is toxic, and having it in the air was bad for mankind. According to the UN, over a million premature deaths are avoided per year by the global elimination of leaded fuel. The National Bureau of Economic Research states that the average national IQ in America went up a few points after we stopped leaking lead around from our gasoline. Leaded gas was introduced by General Motors back in 1923, and even before it was put on sale several of GM's staff were fatally poisoned during their research. Unleaded fuel- Greatly reduced the amount of lead in the environment and ingested by people. Volvo introduced the three-point safety belt back in 1959. You can have airbags, ABS or whatever traction control you like, but these babies might just be keeping you the safest. And they just keep working. 3 point seatbelts. Thank you Volvo.